Russia is third major importer of Indian Guar Gum after US and China . We may see a straight downfall in export of guar Gum to Russia due to weak Russian Currency ( Rubal ). As Russian Currency ( Rubal) has touched the lowest point against USD during this month..
As per a local businessman, who is dealing with Russia for Guar Gum export, is saying that in the current quarter of curent financial year ( October November and December), there will be 30 % low export. As per his view there is more chances that India will lose the order of guar gum from Russia due to weak Russian Currency ( Rubal). Guar seed /guar gum crop cultivation : Newly Harvested Crop after threshing. Russia supplies Gas and Oil to Europe, Russia has hit from double side Low prices of Oil and Low valuation of Russian Currency. At another side Western Countries and Europe has put a lot of economic sanctions on Russia on the issue of Crimea. After that export or Russia to European countries has come down. Mostly Guar Gum is used in O&NG industry but due to low prices of oil and gas will affect the new drilling and this will lead to low demand of Guar gum. 70% of guar gum is used in O&NG industry. Price of major component of O&NG, Crude oil and Natural gas are going down. And expert are predicting further downfall in both products. It is expected that Crude may cross the lower level of 35$-40$ barrel. It is not impossible the prices had reached below level of 40 $ / Barrel in August, 2008. Current political and economical condition does not give any sign of improvement in crude prices. There will be continuous pressure on middle-east and Russian economy due to low crude oil. Natural gas will also not work very well as most of contract for current winter has been already done. The current down fall may not attract any new investment for future activities. Low rate of crude and natural gas will attract the low cost inputs. Alternative / substitute of guar will create a competition in input chemical market. Production of Guar: There is estimated production 20 million Bags of guar seed in India in current year. Demand of guar: The existing contract will keep going. There is less possibilities of new contracts. Business activities in Guar: - Business activities in guar will be lower during next week due to yearend holidays and New Year celebrations. The export activities will be low during this period. Supply of Guar: - This is mid of year. It will take time to come new winter crop, which generally comes in April. Sumer crop produce will be only source of fund for farmers. Guar supply will increase. Small trader and investor will come out from the guar stock and investment that will add in supply. Trading movement: - Downfall may continue. Current level is below Rs 120 that may reach below Rs INR 100-95. Within one month or up to Feb starting Guar gum will reach down to INR 90. There may be also additional pressure of guar gum from existing stock. The manufacturer and importer will have pressure to sell the existing stock due to time. Might be big stockist can wait for long term price movement but small and medium stockist will react negatively and sell their stock to avoider addition loss. Political Movement: - Sliding down crud may lead to cheaper farm fuel, fertilizers, farm input and cheaper transportation. So there might be no major pressure on Guar from farmer side. Low inflation will not create any political aggressiveness among guar farmers. Next coming Three Tier Panchayat (rural) election will require addition money for contestant in guar growing region. 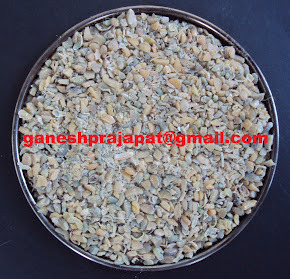 Guar is major stock able commodity among big farmers. Low rate of guar may lead to more guar inflow in market. Crude is going down toward USD 60/ barrel. Expert are predicting it toward USD 30/ Barrel. How will it effect the guar gum industry ? Crude is base of energy industry. Shale gas has emerged major competitor to crude oil It will directly effect the shale gas production. Shale gas production is major activity where guar gum powder in used in large quantity. If shale gas production goes down then it will directly effect the guar gum consumption. and it will further miss match the demand and supply. In this condition guar gum prices will come down. It may touch the November 2010 level. November - December 2010 guar gum level was around INR 5000 - 6000 / 100 Kg. 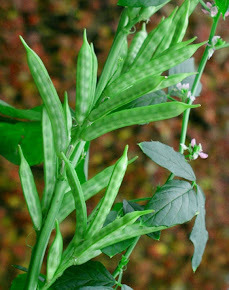 in that condition guar seed may touch INR 1700 - INR 1800 Level. In the condition of hyper competition, Shale gas production companies may increase the production. These companies may increase the quantity to increase there overall profit. If the production increases then companies work on input cost control. Defiantly these companies will pay less for guar gum or these companies may switch on guar gum alternatives. All the alternatives are synthetic and rate of product can be controlled. 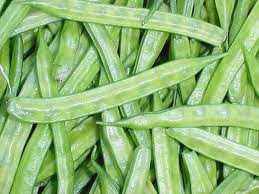 Again guar gum may reach to the level of November - December 2010 rates. Next 5-6 month are very criticle for guar gum industry specially in context to Guar Gum application in Shale Gas production. Labels: Advance estimate of Guar gum ( guar seed) Production, Next Three tier Panchayat election ( rural area election) and Guar seed rates in 2014-2015, What does " Crude Going Down " means?